A giant leap for secure spine-imaging analysis. Ortho Kinematics, Inc. has revolutionized spine-imaging analysis with Vertebral Motional Analysis (VMA), allowing medical professionals to derive more reliable quantitative diagnostic data from images. VMA empowers medical professionals with more accurate and complete information so they can quickly and reliably identify patient problem areas, effectively retiring old x-ray methodologies and hand measurements. When the technology launched, it was met with a welcomed reception from the industry. Yet, there was one potential stumbling block: its need for a cloud provider with the highest security standards, performance, and compliance. The VMA technology works with personal and medical data to perform its spine-imaging analysis. This meant that Ortho Kinematics had to meet HIPAA guidelines while maintaining a strong security posture. The company’s search for a secure cloud that exceeded both HIPAA and FDA compliance requirements led them to Armor. 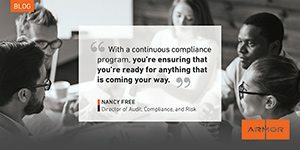 Their team of data security and compliance experts ensured that Ortho Kinematics’ regulatory needs were being met, allowing them to get back to their core business competencies. Learn more about Ortho Kinematics’ growing technology and their partnership with Armor in our “Spinal Technology Upgrades its Security Posture” case study.